only one who's armed, and she's armed at all times. I'd like to apologize for spoiling the twist and thus ruining the first episode of Gakkou Gurashi! 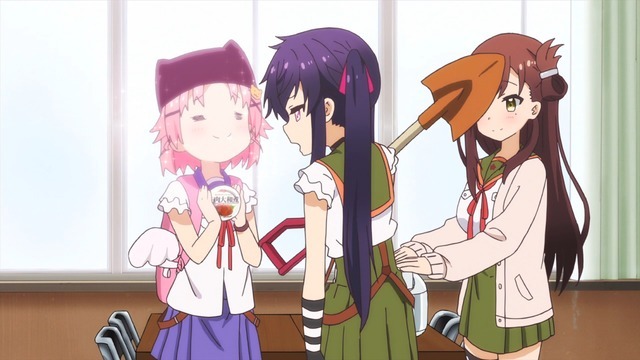 (School-Live!) for you. I hadn't done it yet, but I've done it now, so if you didn't know already...sorry. That said, it's only a spoiler for the first episode. 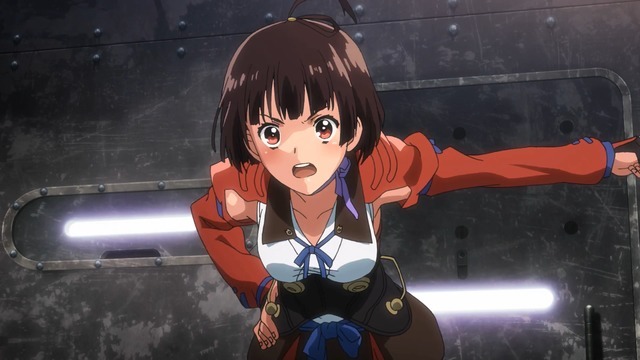 I learned from a season preview that this anime is actually a zombie survival story rather than a school life cute-girls-doing-cute-things morass, but I don't feel knowing this ruined the show for me. What did ruin the show for me was Yuki. 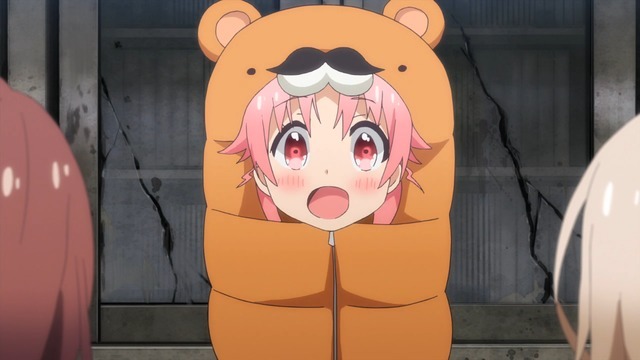 I managed eight episodes before dropping School-Live! in disgust. Look, it is not cute for a high school senior to talk and act like a five-year-old child. It's funny because she's easily amused and unable to stay on task. Also petulant. I don't care that Yuki is supposed to be emotionally broken by the horrors she has witnessed. There are still entirely too many filler moments that serve no purpose other than to goose anime fans who enjoy the infantilization of women. See, there are flashbacks of pre-apocalypse Yuki, and she's just as fucked up there, so I presume this is her natural state. In any case, I've elected to read the manga instead of continuing to watch the anime. I simply can't identify enough enjoyable aspects unique to the anime to justify following it any longer. (The OP is sort of catchy.) Unless the manga and the anime are dramatically different, I think this is the way to go.